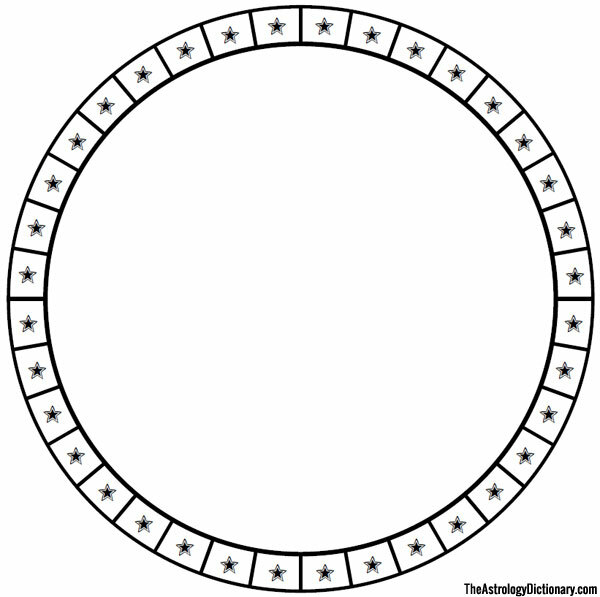 In astrology the decans are 36 segments of the ecliptic that consist of 10 degrees each. 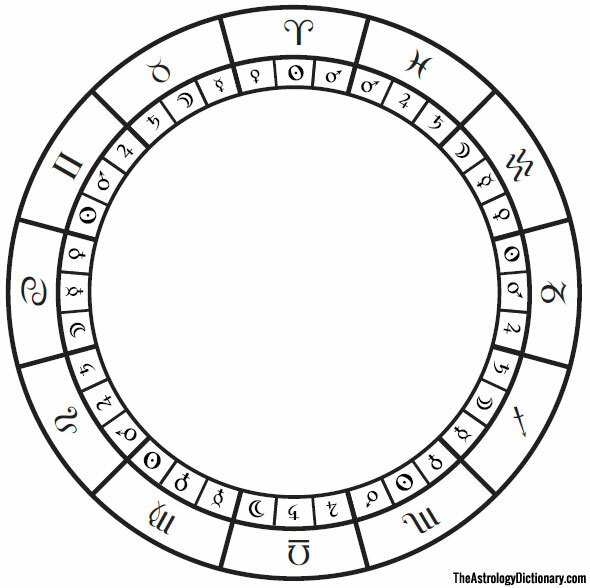 They are usually used in order to divide each of the twelve signs of the zodiac into thirds. The decans originated in Egypt, where they were originally associated with 36 specific fixed stars. 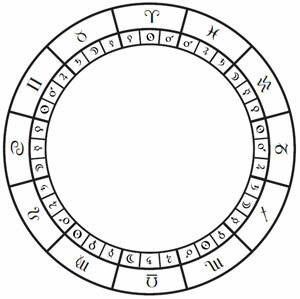 Later, when the Egyptian and Mesopotamian astrological traditions were synthesized around the 1st century BCE, the 36 decans were merged with the 12 signs of the zodiac. 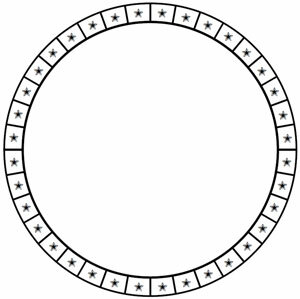 The first, and apparently older method, is to assign one of the seven visible planets to each of the decans based on the Chaldean order of the planets. This method is frequently used in traditional western sources, from the 1st century through the 17th century CE. In the Medieval and Renaissance traditions this set of decans became one of the five essential dignities. When a planet was in its own decan according to the Chaldean order system it was said to be dignified by “face”. Face is a translation of the Greek term prosopon, which is one of the words that was used to refer to the decans in the Hellenistic tradition. The second method, which appears to have been developed somewhat later than the first, involves dividing each of the signs into thirds, and then making the assignments based on the other signs that are in the same triplicity. In this method the first 10 degrees of each sign belongs to the sign itself, while the second 10 degrees of the sign is associated with the next sign in zodiacal order that is of the same triplicity or element, and then the last 10 degrees of the sign is associated with the third sign in zodiacal order that is of the same triplicity. For example, the first decan of Aries, from 0 to 10 degrees, belongs to Aries itself. The second 10 degrees of Aries, from 10 to 20 degrees, belongs to Leo, which is the next fire sign. The third 10 degrees of Aries, from 20 to 30 degrees, belongs to Sagittarius, which is the next fire sign after Leo. This second method appears to have been used by Indian astrologers from a very early stage, although it was not until the 20th century that it became popular with western astrologers. In modern astrology the second method appears to have more widespread acceptance than the first.